Made in Scotland is the Biography of a Refugee in the UK who was diagnosed in 2008 with Paranoid Schizophrenia, who is now living in Scotland from an African descent. This book talks about the place, time and country of birth of Simon Oghenejiro Algood. ; his family background and growing up as a child. It talks about his primary, secondary and University education and the history of his mental illness, how it started and his relocation to the UK. 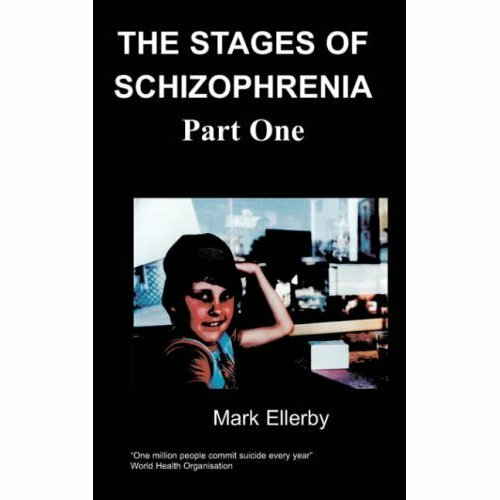 In this book you will find out more about Schizophrenia, its signs, symptoms and causes. As you read on this book describes the author’s stages in life as a mental health patient and relationship breakdown. It shows the essence of being in a family and a healthy relationship. It talks about the most difficult part of the author’s life. He has taken time to write this book and this is the best way he could explain in detail the difficulties in his life and how he overcame them in the end. The author has used a pseudonym for every name in this book to protect the privacy of the individuals and also the locations have been changed. 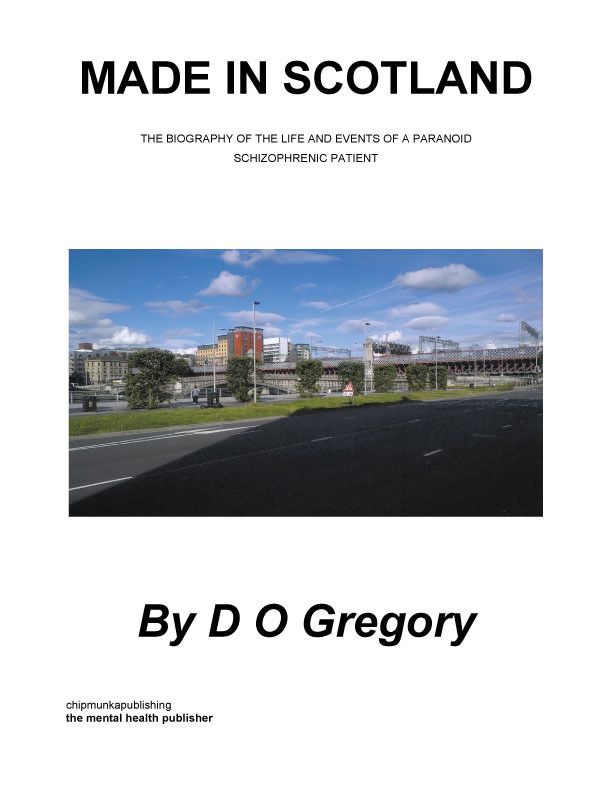 Made in Scotland is a book the author would recommend to everyone especially those with mental health issues, refugees or asylum seekers and mental health professionals. It’s a book that will help you build confidence, be independent and teach you how to stay strong and to be in the right relationship and believe in GOD almighty. This is a true life story which the author is confidently telling you with honesty. This is a book that will inspire you to become what you want to become and achieve your goal. I hope as you read you will be drawn to the right decision in your life and overcome every obstacle just as the author did in the end. Enjoy your reading. Simon started Primary school in January 1987; the name of his Primary school was L.A. Primary School at Alaba Oro in Lagos State. He was 8 years old by then. He should have started school earlier but because he had a diminutive stature, whenever his mother took him to register for school he was always turned back by the registrars because they didn’t believe his age. He was lucky to be accepted for school that year. In those days they allow you to put your right hand on the top of your head and tell you to allow your middle finger to reach the bottom of your left ear, if it doesn’t touch or reach the bottom of the ear then it means you’re too young to start school. That was the system they used in those days in Nigeria to admit people into school. Simon was an average student during his primary school education, his family members always saw him as being dull when it came to academics. There was a time he came home with position 13th of a class of about 28. At this time everyone in his family were saying different things about him and were not happy with his result. However, his elder brother Henry looked at his result and called the attention of the family members and explained that he did well because his percentage was around 70, which meant there were brilliant pupils in the class at that time. This made them consider changing their minds and stop calling him names. Simon’s younger sister was much more brilliant than him when they were growing up because she had the opportunity to go to a nursery school for three years before she started primary school. Simon struggled through his primary school but was able to go through and finish the six years. Simon finished his Primary school in June 1992 and proceeded to continue his secondary education at Odofin Secondary School, Mile 2, Lagos State. He was the clown of his class and everyone liked him. He enjoyed his secondary school days. There he came to meet other pupils who came from different primary schools and were admitted to the same secondary school as himself. During this time there was fierce competition in terms of academic abilities of individuals. Simon began to pick up in his academic ability and this was when he would say he became brilliant and was one of the big names in his class. He sat for his Junior Secondary Certificate Examination in 1995 and passed all his subjects and went on to Senior Secondary Education where he sat for his Senior Secondary Certificate Examination in June 1998. At this time he did not pass English Language and Physics. His school’s performance that year was very poor; only four students at the time passed English Language. He enrolled again for the Examination in 1999 at Federal Government Secondary School and he passed all his subjects in just one sitting including English Language and Physics. He also enrolled for G.C.E. examinations in 1999 and passed all his subjects in one sitting. G.C.E. examinations are often taken in November/December each year for those who didn’t make up their subjects in the S.S.C.E in May/Jun. G.C.E and W.A.S.S.C.E. are examinations recognised in West Africa. At present there are other examination body that award certificates that are recognised in Nigeria. During this time he changed his first name to his middle name. So he was known as Simon Oghenejiro Algood. In Nigeria, they always write the surname first, followed by the first name and then the middle name. So when he was in Nigeria his name was always written as Algood Simon Oghenejiro. Simon worked as a Sales Man in a cement shop briefly for a few months after his secondary school education and was able to gather some money. He also worked as a factory worker in a plastic company for over a year before he got admission to the University. Simon almost stopped school at a point in time because his father refused to send him to school. His father had seven children from his mother and he was not responsible towards any of the children. There was a rich man call Mr Peter Oghenejiro Orevaoghene who was one of Simon’s neighbours, he took responsibility for his education when he was in the fourth year of his secondary education up till the end of his University education. Mr Orevaoghene was his name sake because they both share the same middle name.